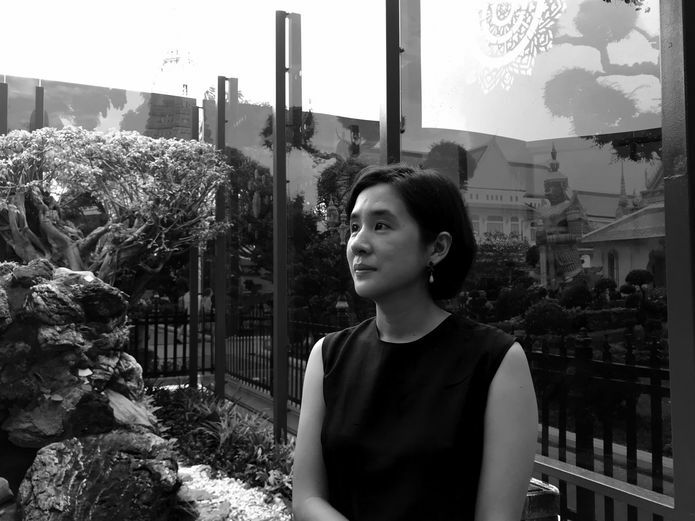 Since founding her Bangkok-based practice Sanitas Studio in 2010, Sanitas Pradittasnee has created works that blur the boundaries between art and landscape, reinterpreting traditional ideas for a rapidly changing urban context. In preparation for her visit to Melbourne to speak at the Landscape Australia Conference on 11 May, Pradittasnee spoke with Landscape Architecture Australia about metaphorical space, material meaning and changing attitudes through design. 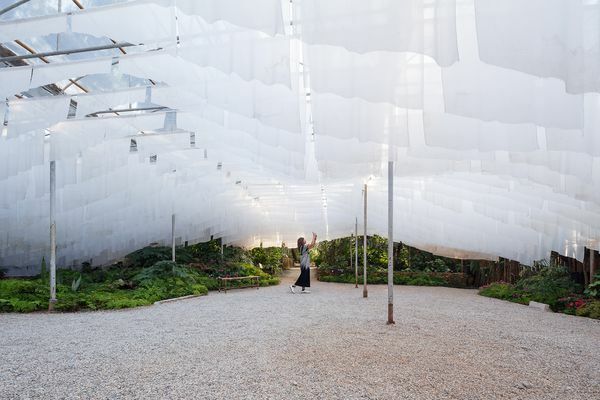 In the Mountain (2016), an installation at Doi Tung mountain in the Chiang Rai region of Thailand, constructed from cloth made from ground coffee and the fruits of the tea oil tree. The project represents the idea of a coexistence between people and the land. 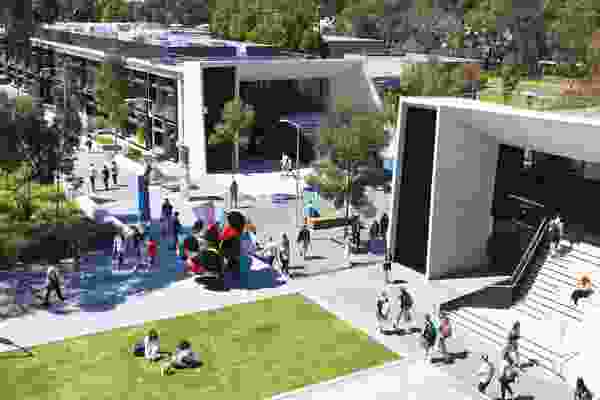 Landscape Architecture Australia: You studied landscape architecture first, worked for several years and then went to London to study fine arts. What inspired this combination? Sanitas Pradittasnee: After I graduated [in landscape architecture] I started to be interested in art. I didn’t want to be limited only to the functional or the aesthetic [in landscape practice], I wanted to make work that was more meaningful and memorable and I saw art as a starting point to creating more depth in my work. I wanted to create spaces that would encourage people to think and question things – themselves and the changing nature of their surrounds. To touch, not just the physical aspects, but also the more abstract aspects of the world. Your work often explores concepts of Buddhist cosmology, the cycle of birth and death, and the balance between humans and nature. Actually, the main idea I’m interested in is [mental] space and for the first version of Khao Mo (Mystical Escapism) [at the Bangkok Art and Culture Centre in 2013] I wanted to create a space where people could question their ways of thinking. Khao mo, a kind of Thai art that dates back to the fourteenth century involves nature being replicated as a way to bring it closer to humans. [The installation] reinterprets [the idea of khao mo] in a contemporary context to provide a space for people to pause in, a space for thought. The outside is covered with traditional Thai mirror glass and looks more like heaven, but on the inside of the installation I used earth to create mounds that represent both emptiness and the starting point of all life. I wanted to create a journey to bring people back to where they began and where they might end, to make people aware that we come from non-living material and that at the end we go back to non-living material. 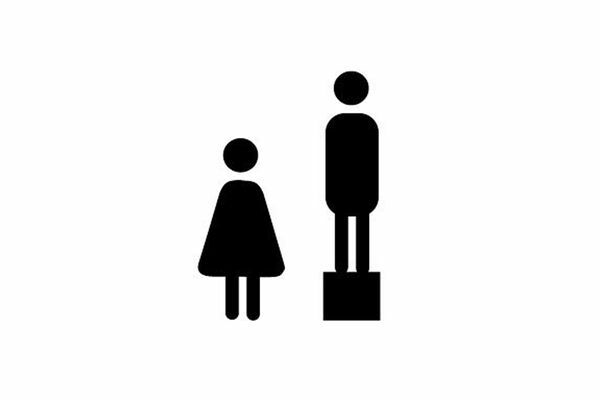 My work is always about contrast. 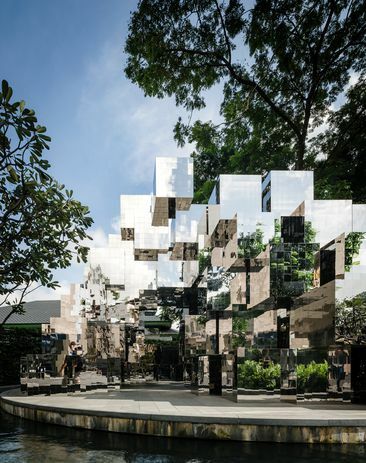 Khao Mo (Mythical Escapism) (2017), a shimmering installation of mirror boxes and soil at Bangkok’s Abdulrahim Place, heightens visitors’ awareness of the surrounding context within a constantly transforming urban context. The idea of a retreat from urban life, of creating a space for individual contemplation, seems to be a recurring theme in your work. [Our] Crafted Land [project] is also about space and providing a place for thought and reflection, where people could slow down and be more conscious and aware of themselves. The site is right in the heart of Bangkok. [There] I created a small mountain with a path that allows people to walk through. 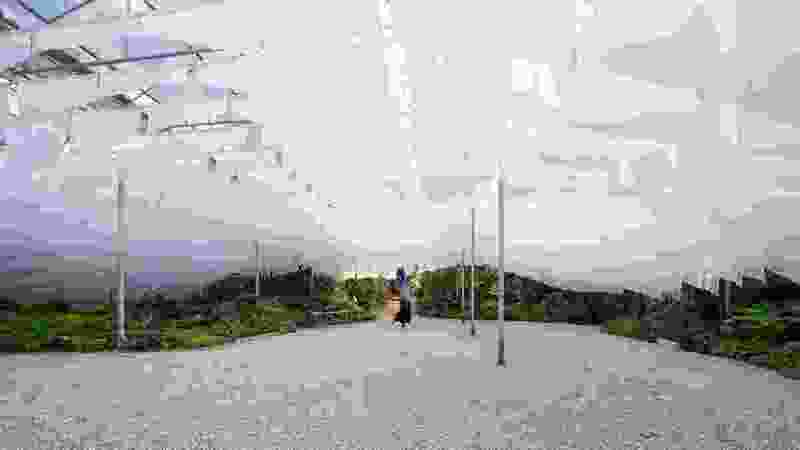 The work creates a journey for people to follow [that enables them to] move from an urban [mental] condition to a condition of being in nature, where they might feel smaller and more aware of their surroundings. Sometimes when we are caught up in the pace of our daily life, we walk without consciousness. 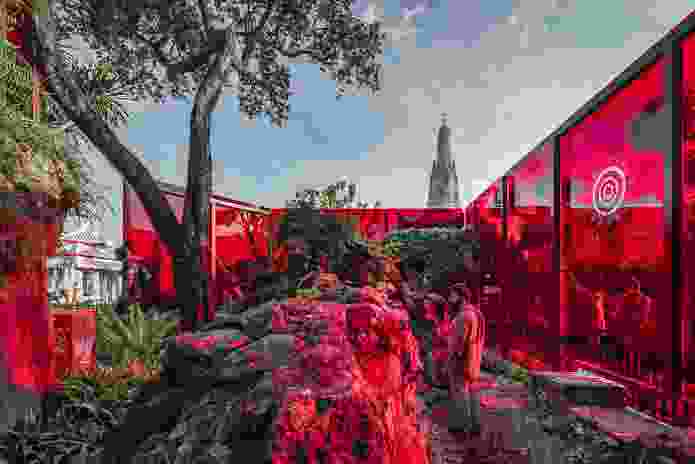 Your palette to date has included traditional Thai mirror glass, soil, rammed earth, pebbles and perspex cast in the shade of red traditionally used in Thai temple murals. How do choose your materials? I’m interested in the history of art and particularly Thai art, and so I wanted to bring back traditional materials and use them in a contemporary work. I like to combine materials from the past and interpret them in a modern way. Across the Universe and Beyond (2018), created for the 2018 Bangkok Art Biennale in the gardens of Wat Arun, highlights the contrast between inner mental space and the physical rush of the outside world. Landscape practice for you is less about designing green infrastructure and more about highlighting our connections with the environment. You’ve said that you’re not necessarily trying to build “sustainable” landscapes, but to shift attitudes in terms of how we relate to our surrounds. I want my landscapes to interact in the mind [of the visitor] and have their impact there. There are many landscape architects and architects that want to make a better world through green architecture, but my interest is in how I might affect people’s way of thinking and increase awareness of the environment. [My projects] may not necessarily have an immediate impact, but [they will hopefully engender] a slow change in perspective over time. What kinds of challenges is the Thai landscape profession currently facing? In Thailand now, compared to maybe fifteen years ago, people are more concerned about the environment. 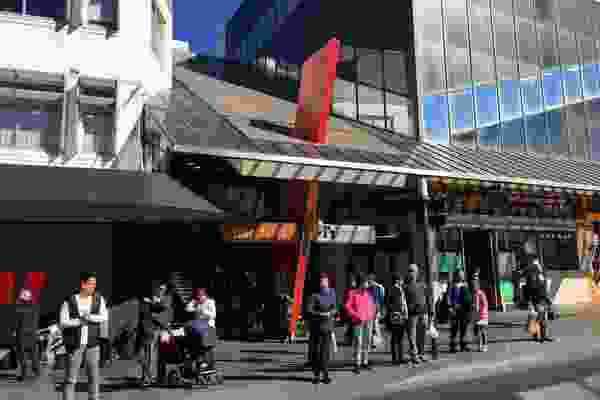 People also want more public green space. Because of the rapid pace of daily life, they have little space for living. But the government doesn’t see the importance of public space or green space. It is a challenge for us because it means we need to do things by ourselves. 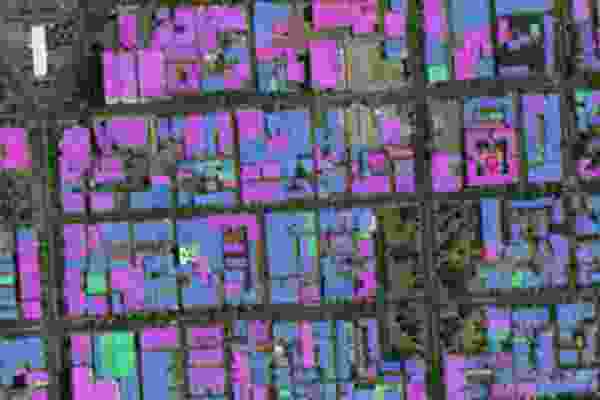 This is a good thing in a sense, because [it means] everyone in landscape architecture tries to create a new project that addresses this issue, but often these projects are temporary rather than permanent. We also now have Bangkok Design Week that [has activated] more public space within the city and has created more movement. There are also a lot more new Thai landscape practices compared to fifteen years ago, when there were probably not more than six firms in Bangkok. Now that the population [in Bangkok] is increasing, there’s more energy and a new group of people who are trying to bring new ideas. We have a good community of landscape architects here [in Bangkok]. We try to gather together and create new public projects by approaching the government instead of waiting for the government to approach us. Sanitas Pradittasnee is a keynote speaker at the 2019 Landscape Australia Conference, to be held in Melbourne on 11 May. Purchase tickets here.